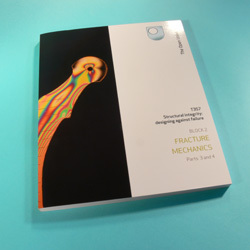 Materials Engineering contributes to the development and presentation of a wide variety of courses, predominantly covering the engineering applications of materials and the manipulation of their properties. Courses currently in presentation are described below. PLEASE NOTE some of the links below take you to the Courses & Qualification pages of the OU Web site and will open in a new browser window. If you would like more information on engineering-related courses and qualifications, you can visit the Engineering web pages . This site describes the courses and possible study routes, and gives you information which you might take into consideration when making your decision about which courses to study for an engineering degree. (TXR120: 10 points) - At this residential course you will experience laboratory, field and creative work as carried out by engineers. You’ll also gain practical skills invaluable for an engineering, technology or science-based degree: taking measurements, analysing data, seeking and evaluating information, modelling, problem-solving, and design for decision-making. Working in a small team, you’ll develop these skills through enjoyable, interactive learning activities. You will define your learning needs and plan ways of meeting them with the support of experienced tutors. The school is held in a UK university with a choice of dates in July – register early if you have a preference, as unfortunately we can’t always offer your first choice. (T173: 30 points) - From design concepts to the manufacture of products, this course examines the range of human activity that is �engineering'. It introduces the context in which engineers operate � including issues such as product safety and patent law � and looks at current engineering practice and some of the developments in engineering methods and applications that will shape the future. It offers a general introduction both for those who simply have an interest in what engineering is and how it is practised in modern society, and for those who are considering studying engineering at higher levels. T207 Engineering: Mechanics, Materials, Design. (T207: 60 points) - Engineering is about solving the technical problems of society from meeting the basic needs for food and shelter to generation of wealth by trade. Engineers see problems as challenges and opportunities. What they appear to be doing is solving problems, but in fact they are busy creating solutions � an altogether more imaginative activity. In exploring the way in which technical solutions are created, the course covers aspects of the mechanics of solids and fluids with the structure and properties of materials. Analytical, communication and learning skills are developed in a context that provides grounding for higher-level, more specialised study in engineering. (TXR220: 10points) - This residential school course offers essential practical experience for students continuing in technology. It adopts the theme of the engineer as 'a provider of solutions to the technological needs of society� and concentrates on the production, analysis and modelling of engineered components and systems. By its end you should have a deeper understanding of the interactions between design, manufacture and service performance, usually by optimisation of materials properties. This should be instructive in guiding your further study areas. Where feasible, computer-based techniques are included to support the modelling, design and selection processes. (T357: 30 points) - Structural integrity is the study of the safe design and assessment of components and structures under load, and has become increasingly important in engineering design. It integrates aspects of stress analysis, materials behaviour and the mechanics of failure into the engineering design process. The course is well-illustrated with case studies, and will be of interest to anyone associated with the design of any component or structure that experiences loading, and will be of benefit in developing skills in the analysis and assessment of product design. It has universal applicability in the UK and across international boundaries. (T839: 30 points) - Why do products fail? Inadequate materials, poor manufacturing or assembly methods, bad design � failure can arise at any stage during product development, giving designers clues as to what failed and why, and how to avoid future failures. Using real case studies, you will examine the principles of good product design and assess the significance of poor design on the development process. You will work with techniques for analysing product failure, including scientific and engineering tests and observation. You will investigate real catastrophic failures � the Challenger space shuttle, the Hindenburg and the Tay Bridge � and consider the role of design, manufacturing, materials and communications in these fatal disasters. (T881: 30 points) - Manufacturing processes, selection of materials and design of components are three facets of the same task: making something that serves its purpose efficiently. Unlike many other manufacturing courses, this one emphasises the interaction of the three facets rather than teaching them independently. Block 1 of the course establishes common elements of the three areas. Block 2 looks at the main routes to manufacture of components: cutting, casting, forming and joining. In Block 3, you will examine case studies from each of the three areas. Course materials include study texts as well as a �databank' of advanced manufacturing processes, traditional and new, with criteria for deciding on process, material and design. The link on the title above will take you to a list of Engineering Courses amongst which are the following selection with relevance to Materials studies.